What’s the Real Purpose of the Brazile Book? RUSH: There are also two other things here. I told Mr. Snerdley here about a half hour ago, this Donna Brazile thing, something about this, folks, there’s too much of this now. Let me cut to the chase. I think the Brazile book, the whole thing apparently is being excerpted. There’s no reason to buy the damn thing ’cause it’s in the newspaper, it’s on the Drive-By news and websites every day, every chapter of the book. People are dutifully following each excerpt, and this book is trashing Hillary Clinton. It’s trashing Debbie “Blabbermouth” Schultz. It’s trashing everybody that was in the Democrat National Committee and Hillary Clinton campaign hierarchy. There is a reason for this. It goes back to one of the points that I made late last week that has now echoed all over the fruited plain. This is the first tell-all or the first burp that we’ve had from somebody close and inside with the Clinton apparatus, the Clinton machine. We’ve not had tell-all books like this about the Clintons. We get ’em about everybody else. And there’s just too much of this now. My red flags, my suspicions have been aroused. They are working real hard, Brazile and whoever else is part of this, they’re working real hard to make us turn our heads over here and take a look at what she’s writing and what she’s saying and following it, getting caught up in it like a soap opera, while over here where we’re not looking, something’s going on. There’s too much of this. I mean, there’s four or five new stories today that are sourced from the Brazile book. So, I’ve been asking myself, what could the real purpose of this be? You start from a position you — by experience and intelligence — must consider, and that is the Democrats are great at distraction and misdirection. And I think we have a clear example of it here. Brazile, and whoever else is helping her, is taking our attention and, in this case, it’s being focused on Hillary, which I don’t think is incidental or coincidental. I think there’s a reason Hillary Clinton’s being trashed, beyond Brazile trying to save her own skin. I don’t think that’s what’s going on here at all. I think Brazile has got something else going over here where we’re not looking. I’m trying to figure out what that is, ’cause there’s too much of this. It’s just an onslaught now. So when I think I have it figured out, I will pass it on. In fact, I may even turn it into a contest. What do you think I think Brazile is doing? And you get it right, you get an iPhone X and a fast charger. Hee-hee-hee-hee. No, I will not condition the giveaway of an iPhone X on that. But I do believe that there is something going on that we’re not meant to see. There’s two aspects to this. One of them is destroying Hillary and the Clinton machine. There’s no question that is an objective. But then why? Why? Hillary’s not a threat anymore. People think, “Well, she is Rush. She won’t go away. She keeps out there saying she’s gonna do this and gonna do that, and the Democrats don’t want her around. They gotta take her out.” I understand that. But Hillary’s not gonna win anything again. And now the latest stories are zeroing in on her health, how sick she was, how sick she looked, how dangerous it was, how everybody was thinking she can’t be the nominee, we have to replace her. There’s even a story that Obama was telling Biden to get ready. 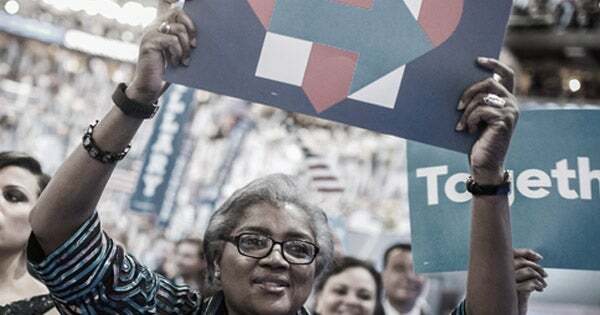 So something is up, and it’s not just an expose on Hillary and Donna Brazile covering her rear end over the mistakes that were made that led to the loss in 2016. They’re sweeping Hillary out of the way and attracting everybody’s attention while they do it because something else is percolating or effervescing over here that we don’t know about yet. No, I don’t think it’s anything else they’re trying to cover up. No, no, no, no, no, no. It’s about their future plans. I’m not thinking cover-up. I’m not thinking they’re trying to cover up some other scandal. No ho-ho-ho. As far as they’re concerned, they don’t have scandals. No, no, no, no, no. It’s something that is percolating for the future that everybody’s being distracted from and Hillary being taken out. Now, I’ll give you one other hint. The reason to take Hillary out is? 2020? I mean, remember, Hillary’s running around telling everybody she still wants to run ’cause this is hers, man, she’s owed this. 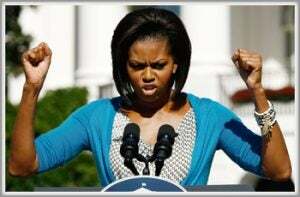 This is her entitlement, first female president, yada yada yada. So she’s telling people she wants to give it a go. Her husband’s telling her, “No, don’t. Forget it.” But she won’t go away. So for whatever it is they have planned, they gotta get her out of the way. And that’s what this is. Are you getting closer to maybe understanding what I may be thinking here? RUSH: Let’s get started on the phones. People want to weigh in. We’re gonna start in Sequim, Washington. Larry, great to have you, sir. How are you doing? CALLER: Oh, great, Rush. Greetings from the Left Coast. CALLER: I have a theory about the Donna Brazile story, and I just wonder if she didn’t have her eye on a presidential run by ratting out the Clintons and the Democrat Party. There’s gonna be a certain amount of the centrist vote, and Republicans could just fall in love with her for being a woman of virtue for telling the truth. RUSH: Oh, you think that Brazile is setting herself up to run after…? I hadn’t thought of that. She did do the manhood-size contest with a bunch of guys on the Democrat side, and I think she won, actually, which does surprise me. Donna Brazile with larger manhood package than many of these Democrat guys. But, no, I… That’s not what I’m thinking. You could be right, but I don’t think Donna Brazile… I don’t think that’s her area of interest. I don’t think that’s what is on tap here. But you are close to what I’m thinking, nevertheless. Here’s Bill in Raleigh, North Carolina. Great to have you, sir. How are you? CALLER: How are you doing Rush? A definite pleasure. I feel like I won the lottery today. RUSH: Thank you. I appreciate that, sir. Have a great one. RUSH: You’re the second guy who thinks that she’s doing something for the Republicans or to gain some reaction from the Republicans. What is it again that you think she’s doing? I don’t quite follow. CALLER: I think what she’s doing is she’s trying to act like us Republicans are Democrats and we’re just gonna listen to anything they say. I really think she’s trying to get the Republicans to think this was all Hillary Clinton’s fault; this was not the Democratic Party that did this. This was all Hillary Clinton’s fault. RUSH: Why would it matter what the Republicans think? RUSH: They don’t want… No, no, no, no. They don’t want Republican votes. I see. You’re the second guy, “They’re trying to get Republican votes.” That’s not it. They hate you! They don’t want you voting for them! They despise you! You’re racist bigot! They want you buried! They’re not trying to cater to…! I don’t mean to be yelling. Pardon me. They hate us. They’re not trying to do anything to convince us to vote for ’em. If they could, they would convince us to dig our own graves and then hop in. RUSH: Doug in Oxford, Michigan. Great to have you on the program, sir. How you doing? CALLER: I am doing very well. It is such an honor to speak with you. RUSH: Like, “He’d be getting our coffee,” yeah, two years ago talking to Ted Kennedy. I think this is it, frankly. I think this is exactly what’s going on here. I think Brazile is clearing the decks and setting it up that she’s gonna run the Michelle Obama campaign for president.